← Why not spend Valentine’s Day by a river? I thought about this for a while and decided that 140 characters would be no way to do justice to my obsession, so this is an attempt to explain how I came to be a researcher into rivers and how it took me a long time to realise that rivers were something I was in love with. 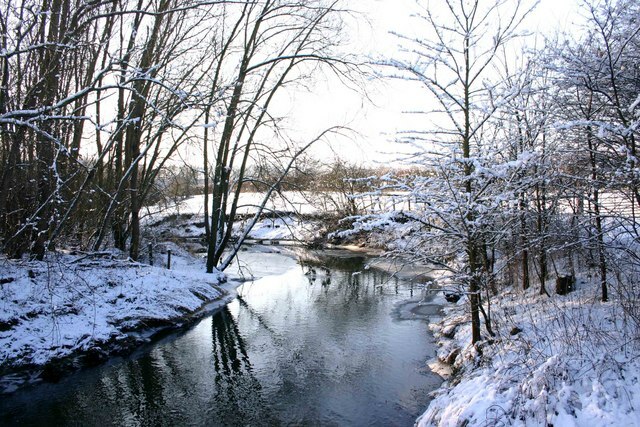 As a child I was really keen on wildlife and I grew up in a large town, but only a couple of miles from a rural stretch of the River Leam in Warwickshire; a lazy lowland meandering river that winds its way through pasture and arable land, probably many people’s idea of a classic English river. 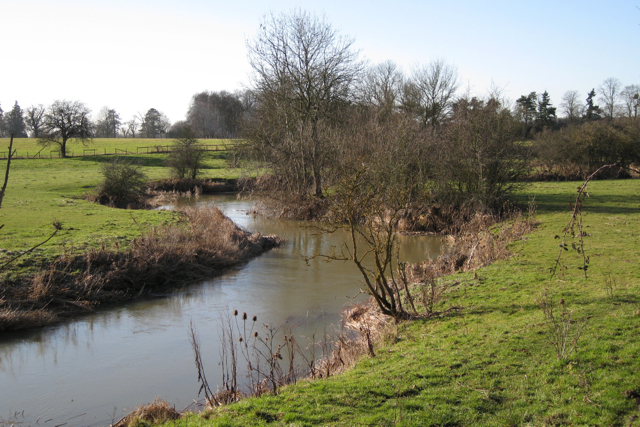 So even from fairly young I had an appreciation for the way a river moves through and dominates a landscape, the way the land slopes down into a broad river valley from miles away, and the variety of iconic wildlife such as Kingfishers that I didn’t see anywhere else. I’d like to pretend it was this romantic vision that led me on my current path, and while it played an important part, the key thing for me is maths. I’m a massive nerd and I still remember a GCSE lesson where we were told (in a throw away fashion) about the (famous) mathematical relationships between river parameters – that the channel width is proportional to the meander wavelength, pool-riffle spacing etc. The idea that such variety and such chaos could have underlying mathematical relationships stuck in my impressionable young mind and never left it. I did all my GCSE and A-level geography projects on rivers; firstly a (in hindsight very ambitious) riparian vegetation assessment for my GCSE and some work on flooding for my A-levels. I then didn’t work or study rivers for about 11 years. I didn’t realise it at the time, but in hindsight that interest in landscapes and rivers never left me. I took up canoeing on lowland rivers which took my back to my first ever childhood experiences of messing around by the Leam and in 2nd hand bookshops I’d browse the science sections looking for texts on rivers and geomorphology (among many other diverse and odd interests, such as ancient history I should point out, river are only obvious in hindsight!) I’d flick through these old geomorphology books from the 1950’s & 60’s trying to decipher them like Egyptian hieroglyphs. I’ve now been working with rivers for nearly 5 years, and it feels both as if it is what I am meant to do, but in a strange way it’s hard to remember when I did anything else; I think on some level even while working for a bank it was just a matter of discovering that I always was someone who works with rivers, rather than becoming that person. 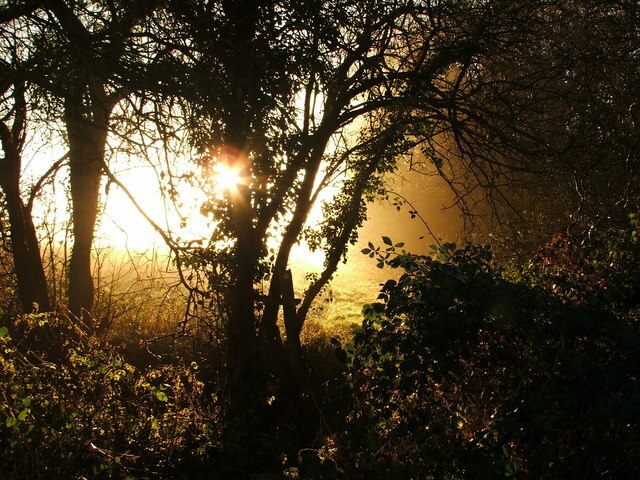 Bluebell Wood nr Offchurch Bury – one of my GCSE coursework fieldsites for vegetation study. One of the important things to take from this I suppose is that although I was fortunate to be able to escape the large town I grew up in for days in the country by a river, the thing that really cemented an interest in studying rivers was that GCSE lesson. It wasn’t a full on earth science syllabus, just a couple of hours on river geomorphology and that was enough to stay with me. I’m not sure if children need loads of complex and varied earth science in the classroom, but even a small bit can spark an interest that lasts a lifetime. Closer to domestic politics, it was the assessed coursework I did for my GCSE and A-level that started me on understanding rivers and the scientific method. The current UK government want to shift to a learning by rote no coursework system for schools, robbing children of the chance to expand their knowledge beyond reciting facts. Yes coursework can be a cop out for some, but the benefits it instils can last a lifetime. “I love rivers because they fascinate and frighten me in equal measure”. This entry was posted in Geomorphology, Hydrology and tagged environment, fluvial geomorphology, geomorphology, hydrology. Bookmark the permalink.